Here is a ni ce little free PlugIn that i want to share with you. This slumbered for a while on my hard drive. It comes in very handy whnever yu need more, natural (or surrealistic) stereo-width. It is also very usefull if you want to have some more motion and modulation in yur sound and don’t want to use another phaser or chorus or whatever. 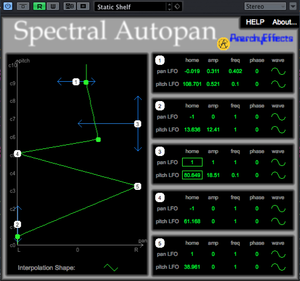 The Plugin is calle “Spectral Autopan” from Anarchy Effects. You can split the signal in up to five bands. Each band gives you control over frequency amd pan positions. With that alone you could get great results for spreading a signal. But that’s not all. 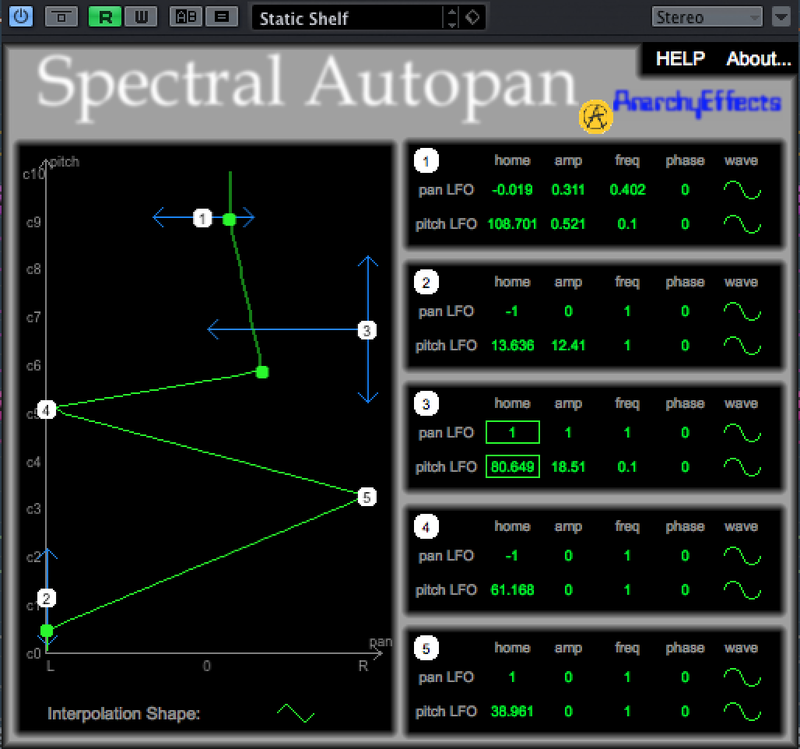 In addition you can add some movement by apllying an LFO to the pitch (the frequency) and the pan depth of each band. Of course you can control the rate and the depth of each LFO as well as the waveform and phase. Finally it is possible to interpolate the separation-curve. This gives you great control on the stereo beahviour of your signals. You should definitely check out “Corkscrew” too.